That is so cute! You are so creative. =D And btw, those rings are gorgeous. Your ring is so perdy! 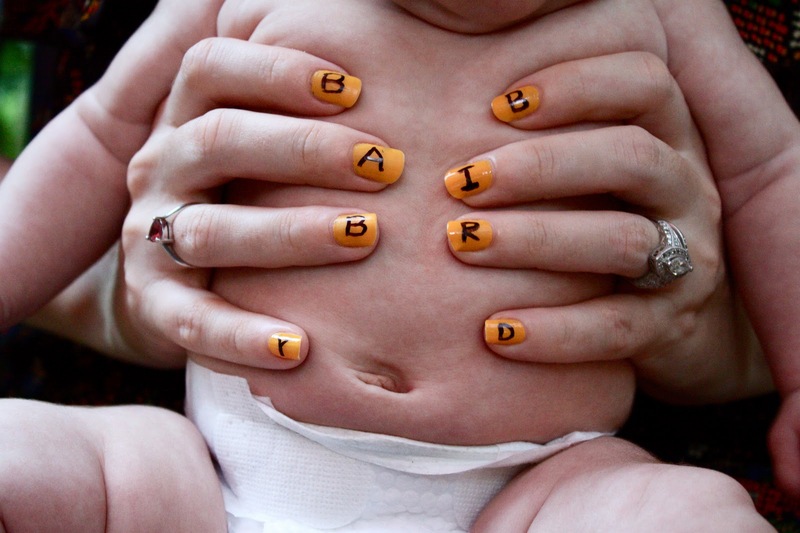 ...how hard was it to write letters on your nails upside down? oh this is the cutest! you are so creative!!! i love baby bellies!